Pequin Pepper Flakes are Made from Crushed and Ground Dried Pequin Pepper Pods. 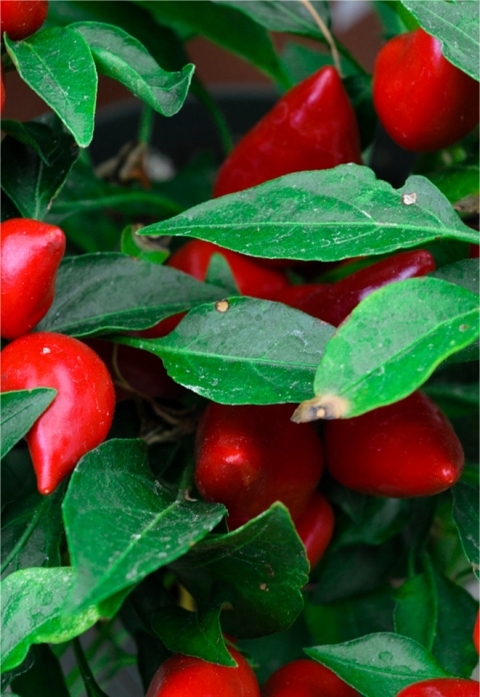 Pequin chile peppers grow straight up to the sky on hardy, shrub-like plants that can grow up to five feet tall. The small oval peppers start out light green and as they ripen can have an occasional purple tinge, and then mature to a bright red. Pequin chiles measure an average of one-inch-long and 1/4 to 1/2 inch wide. Like a hot volcanic puffed rice kernel, dried Pequin Pepper Chiles with their rich flavor add a fiery zest to beans, sauces, soups and stews.